Dustin and Jennifer Culton started an Ikea-hauling business. If you have an entrepreneurial itch but aren’t ready to quit your job or cash out your IRA, you may find another low-risk, low-overhead way to start a business. 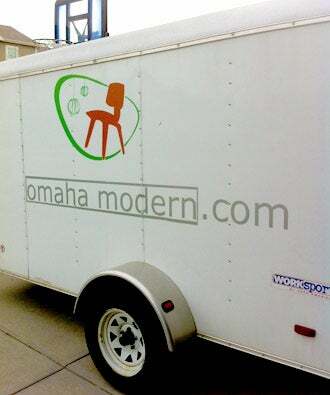 Dustin Culton and his wife, Jennifer, of Omaha, Neb., did just that about a year ago, when they started Omaha Modern, an “intensive” part-time venture that netted them roughly $30,000 in the first year. The Cultons’ business is based on their 13-hour round trip drives to the nearest Ikea store, in Minneapolis, to pick up furniture, placemats, flatware and other items with umlaut-bearing names for customers in Omaha and other Midwest cities far from the Swedish big-box retailer. Customers ordering directly from Ikea’s website don’t have as vast a selection as those visiting stores, and shipping costs can run higher than the product itself, Culton says, so his customers can buy more and potentially save significantly on shipping. “We basically take the entire Ikea website and catalog and open it up to our clients,” he says. 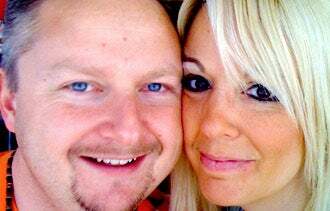 For the Cultons, both 37 and working in the insurance industry, the business grew from their own trips to Ikea to buy items for their home. They initially made one trip a month to Minneapolis for customers and recently added a second. Dustin has made the last few trips without Jennifer, who recently gave birth. The Ikea runs involve spending six to 10 hours in the store, six to 10 trips through the checkout line to buy 150 to 200 items, and filling up a 6-by-10-foot enclosed trailer that they haul with a used Cadillac Escalade. Trips can consist of $6,000 to $11,000 in volume and 15 to 25 customers’ purchases. The couple pack their Omaha Modern trailer with goods from Ikea's Minneapolis location. Culton estimates Ikea saw about $100,000 in sales from his business in the first year. “In total over the past year we've had over 300 orders, so quite a bit of activity,” he says. With a typical 30 percent to 35 percent pickup fee, Culton estimates the business has generated approximately $35,000 before expenses, $27,000 to $30,000 after. He estimates expenses amount to $400 per trip, excluding a monthly $400 vehicle payment. The trailer, which Culton had before starting the business, originally cost $2,000. “Ikea has basically said they like that we do this, but we can’t use their logos,” Culton says. The Cultons aren’t the only people running private businesses that deliver and assemble Ikea furniture, but it’s unclear how many make such long hauls. Last year the St. Louis Post-Dispatch profiled a couple who made similar runs from St. Louis to an Ikea in Chicago for their business, Expedite St. Louis.